This week has been a nightmare. It started early Tuesday morning when my oldest got sick with cold symptoms, he stayed home from school and already my day was completely off plan. He woke up with a belly ache, snotty nose, nasty cough and overall not feeling well. So, I let him stay home from school and immediately went to the medicine cabinet to find something for his symptoms. 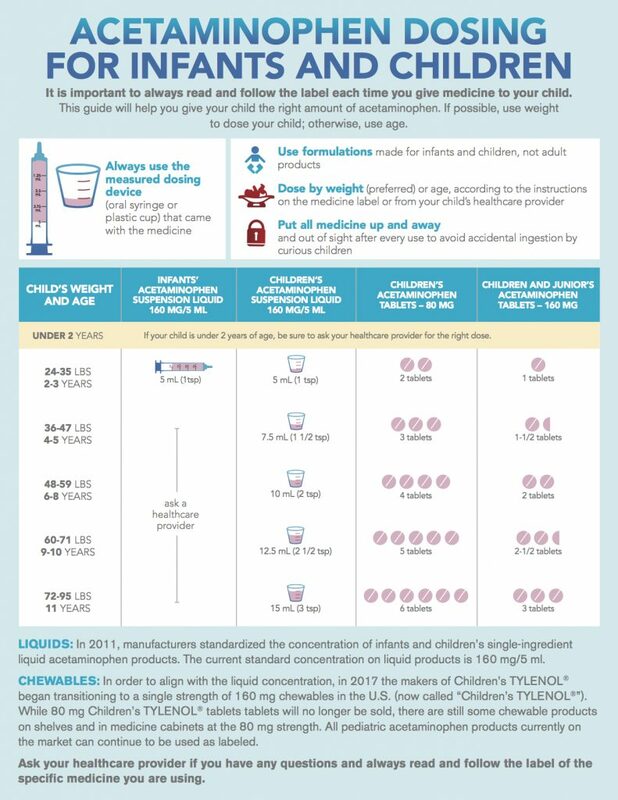 We are at that weird stage of childhood when children’s medicine involves a huge dosage or he has the option of taking a modified amount of adult medicine. It’s great in a way, because now he can take what we take for colds, but I have to pay extra attention in what he gets so there is not an overdose. I started off giving him regular children’s acetaminophen for the aches and pains and went to the cabinet to see what else we had. I found a box of cold and sinus medication that was used during my last cold. The box read it was for nasal and chest congestion, cough and minor aches and it sounded perfect for the nasty cough he had. Since he is borderline on age and weight, I gave a call into the pediatricians office to check on dosage and guidelines. I talked to the nurse, went over his symptoms and she told me how to administer the adult medication dosage and just before I did, she asked me what he has already taken. I told her the acetaminophen earlier that morning and she stopped my in my tracks. I hadn’t looked at the back of the box ingredients and didn’t even notice that the cold and sinus medication already included acetaminophen. So glad I called! 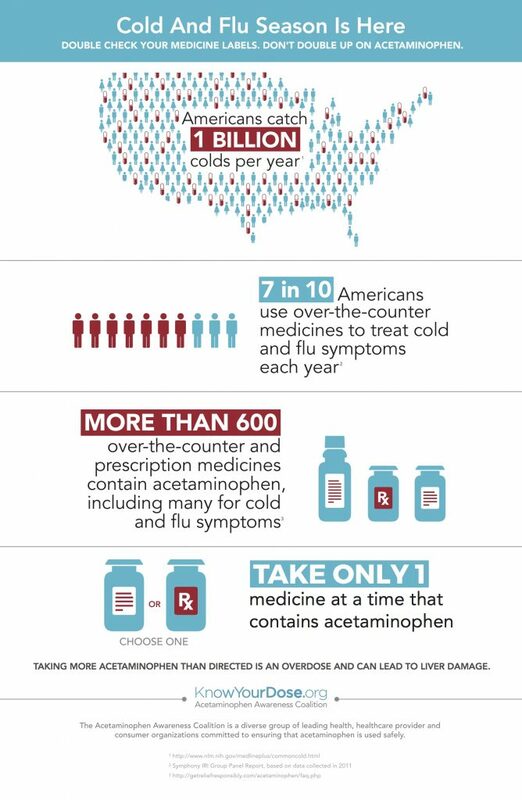 The Acetaminophen Awareness Coalition (AAC) is urging Americans to double check their medicine labels when treating cold and flu symptoms to avoid doubling up on acetaminophen. 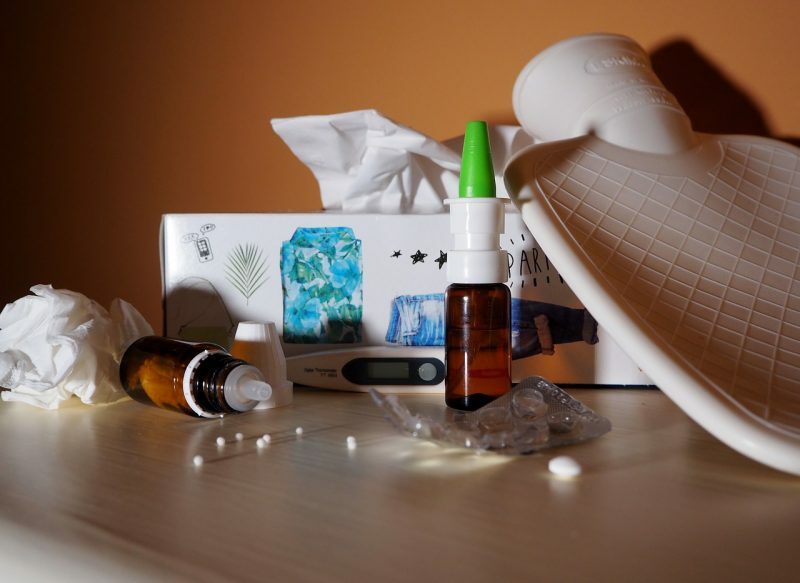 Research published earlier this year shows that the odds of Americans taking more than the FDA-recommended maximum dose of 4,000 milligrams (mg) of acetaminophen in one day increased 24 percent during cold and flu season. We have received some devastating family news this week and him being sick, it’s just been hard. It’s easy to overlook things like medication, specially when you are distracted by other things in your day and life. So learn from my almost bad mistake. We are still dealing with the news within our family but thankfully everyone is now feeling well. Hopefully this information is helpful to you as it will be to us when the cold and flu hits again. ← It’s Been A While – Hello 2019! Reebok CloudRide DMX – The Ultimate Walking Shoe!